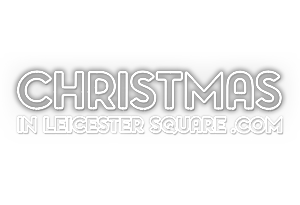 This policy (“Cookies Policy”) is issued by Underbelly Limited (referred to as “we”, “us” or “our” in this Cookies Policy), and applies to our use of “cookies” in connection with the website http://www.christmasinleicestersquare.com/ (“Website”). If you don’t want to accept cookies in connection with your use of the Website, you should stop using it or turn off your cookies (see paragraph 4 below for how to do this) but this may impact how the Website functions. Cookies are small text files containing small amounts of information which are downloaded and may be stored on any of your devices that enable internet usage e.g. your computer, smartphone or tablet - like a memory for a web page. We use several different types of cookies. In particular, we use: necessary cookies which allow certain fundamental features of the Website to work; functionality cookies, which allow us to remember choices you make (e.g. your cookie preference); and performance cookies, which monitors usage of the Website. We also use third party cookies - these are cookies that are set by a third party website rather than by us. Some of these are session cookies which are temporary and allow us to link your actions during a single use of the Website. These are deleted at the end of your browsing session. Others are persistent cookies which remain on your device for the period of time specified in the cookie. These cookies help us to identify you as a unique user (by storing a randomly generated number). Necessary cookies are essential and help you navigate the Website. This helps to support security and basic functionality and are necessary for the proper operation of the Website, so if you block these cookies we can't guarantee your use or the security during your visit. Performance cookies help us to understand the behaviour of users of the Website. This allows us to continuously improve the Website to provide the best recruitment experience. These cookies are also used to help us understand how effective our Website is; for instance these cookies tell us which pages visitors go to most often and if they get error messages from web pages. All of the information that these cookies collect is aggregated, to assist us to improve how the Website works. Some of these cookies are managed by third parties, and you may refer to the third parties' own website privacy notifications for further information. In particular, we use Google Analytics cookies to obtain an overall view of user habits and volumes, and to help improve the overall experience on the Website. If you prevent these cookies, we cannot guarantee how the Website will perform for you. exp_csrf_token Expires 2 hours from date set Holds CSRF Token CSRF is used to protect the website against malicious cross-site scripting attacks. seenCookieNotice Expires 1 year from date set Stores whether or not you have seen the website’s cookie notice Allows us to only display the cookie notice once on the first page you visit. basket_updated Expires 1 day from date set Stores when the ticket basket view was last updated Allows us to show the correct number of tickets in your basket. exp_last_activity Expires immediately Stores when you last visited the website Allows us to remember the last time you visited the site. exp_last_visit Expires immediately Stores when you last interacted with the website Allows us to remember the last time you interacted with the site. exp_tracker Expires immediately Stores the last five pages viewed Allows us to redirect you correctly after interacting with website forms. _ga Expires 2 years from date set Google Analytics Cookie Used to determine unique visitors to the website. _gat Expires 1 minute from date set Google Analytics Cookie Used to determine unique visitors to the website. _gid Expires immediately Google Analytics Cookie Used to determine unique visitors to the website.